de Bakker, J.W. (1976). 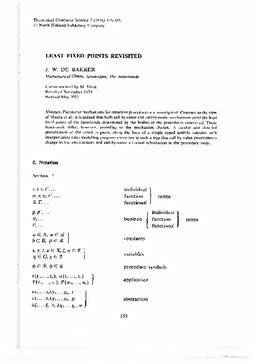 Least fixed points revisited. Theoretical Computer Science, 2, 155–181.